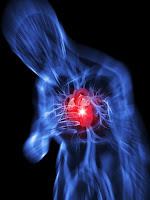 While individuals with cardiovascular disease often experience concurrent depression, a new study in the Canadian Medical Association Journal finds that taking selective serotonin reuptake inhibitor (SSRI) antidepressants enhances the bleeding risk already associated with antiplatelet medications commonly prescribed for those who have suffered a heart attack. The retrospective study followed 27,058 patients over age 50 who were hospitalized for a heart attack and subsequently prescribed acetylsalicylic acid and/or clopidogrel—both with and without the addition of an SSRI for depression. When added to either a single or dual antiplatelet medication regime, SSRIs were found to increase patients’ risk of bleeding. Read more about the link between antidepressants and bleeding risk in Psychiatric News.